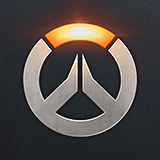 I'm setting up a new discord server for PS4 players, to help people find others to group with for competitive, QP or arcade lootbox grinding. All ages / ranks / regions welcome, all I ask is that you're mature, civil and in no way shape or form a troll in or out of game. - Coaching: GM/T500 players willing to review your gameplay and give you constructive advice on how to get better at your heroes. - League Team: Going forward I'll be looking to set up a team roster to compete in the AGL (Amateur Gaming League), which anybody of a high enough rank is welcome to apply to. This team will be involved in competitive scrims against other teams, video review and strategy sessions with our coaches. Hi i would love to join a discord group as well. Iam in gold currently and play zarya, reaper, moira, mercy and bastion. In competitive play I would prefer too stick to Reaper, Roadhog, Junkrat, Mercy, Soldiers, Reinheart or D.va. But I can play the other characters too if the situation demands it. Hey, I’d enjoy joining this discord server. I am really looking for fun teammates to play and climb with. Competitive Rank: platinum right now. I will probably be on later this week since I have tests for the first two days of the week I may not be able to reply. The main heroes I play are Junkrat (main), Zenyatta, Tracer, Soldier, and Winston. My SR right now is 1910 but I placed at 2025 for season 9. I got off to a bad start; but I'm ready to grind to get back up. I'm looking for a fun group to climb with. My Preferred heroes are Rein, Zen and sombra. Looking to learn and enjoy competitive gaming.